It’s often easy to wrongfully link loss of habitat and species with lack of interest but the truth is that for many of these people the Atlantic forest is something they deeply care for and in a much more meaningful way than I ever could. Bio: I am a biologist turned marketer working to solve the human side of the conservation equation. 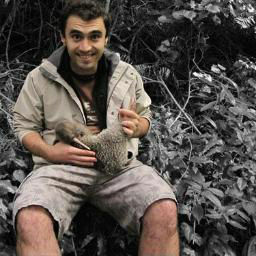 My main interests are social marketing and economics, along with evidence-based conservation and project evaluation. I have worked worldwide, from my native Portugal to India, Brazil, Seychelles and São Tomé and Principe. As part of my PhD, I worked in several locations, one of which was the Serra do Urubu. The Serra do Urubu is a fragmented tract of Atlantic Forest, located in the state of Pernambuco, Northeast Brazil. It houses nine threatened bird species out of which four have a very restricted range. This has earned the Serra do Urubu the distinction of Important Bird Area and AZE (Alliance for Zero Extinction) site. In addition, the Serra do Urubu is home to endemic species of frog, orchid and moss. Nonetheless, the area continues to be threatened by human activities, mainly charcoal making, logging and hunting/collection of specimens. These activities are mostly driven by self-consumption and are made acute by one of the lowest development indexes of Brazil. 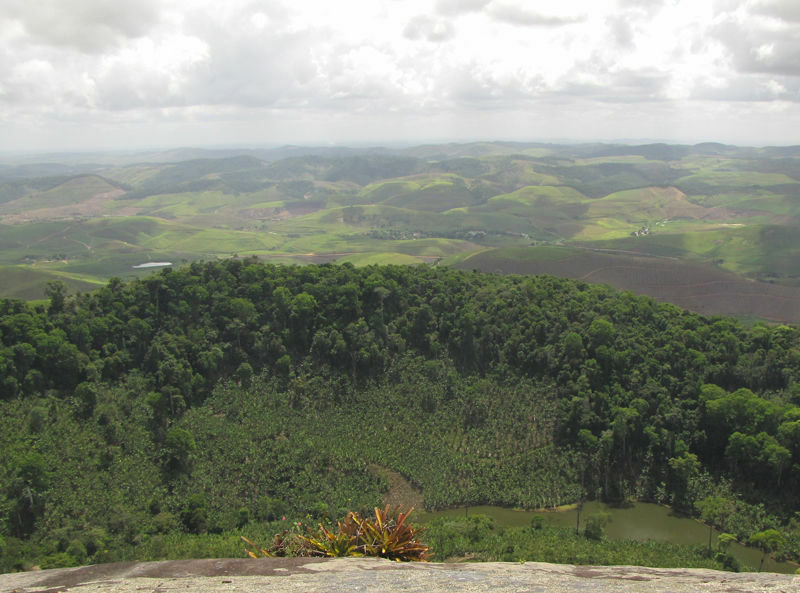 Considering the high conservation importance of the Serra do Urubu, the Brazilian NGO, SAVE Brasil, the Birdlife representative for the country, purchased the Pedra d’Anta estate, a forest area of approximately 340 hectares, with the objective of creating a private reserve. The area is adjacent to the Frei Caneca private reserve and together both fragments provide nearly 1,000 hectares of preserved forests, the last significant remnant of Atlantic Forest in the region. My work in the Serra do Urubu revolved around improving the way we conduct campaigns to fundraise or change behaviour for conservation. In particular I was interested in the of conservation flagships, usually a species that is used a symbol and that theoretically serves as rallying point for a given cause. Although the use of flagship species is commonplace, their selection is not usually guided by evidence, leaving room for conservation campaigns to underperform. 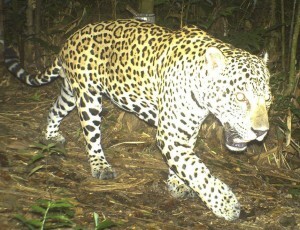 So I developed a partnership with SAVE Brazil, who had a project for which the initially selected flagship was deemed to be inadequate, to develop a new evidence-based method to select flagship species for conservation campaigns. This method is based in marketing theory and uses “choice experiments”, an economic valuation technique, to understand the preferences of the stakeholders relevant to a conservation campaign. By using information on the preferences of our target audience, in this case rural communities, we can better tailor conservation campaigns and improve the way conservationists engage and mobilise stakeholders. 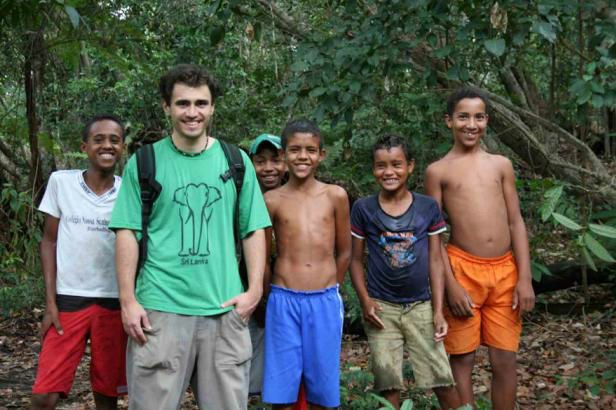 LEFT: Diogo talking with local communities in the field. RIGHT: The view across the Serra do Urubu. "With only a small percentage of forest cover left and a very high percentage of endemic species, there is a sense of uniqueness to these places that I haven’t experienced anywhere else." The key highlight of this work was to see how interested some people around the Serra do Urubu were in their natural heritage. It’s often easy to wrongfully link loss of habitat and species with lack of interest but the truth is that for many of these people the Atlantic forest is something they deeply care for and in a much more meaningful way than I ever could. Another highlight, sometimes inspiring and others worrying, was walking in the remaining fragments of Atlantic forest in the region. With only a small percentage of forest cover left and a very high percentage of endemic species, there is a sense of uniqueness to these places that I haven’t experienced anywhere else. On the other hand, it is not difficult to find signs of illegal logging and charcoal-making, which got me wondering how much longer will the Atlantic forest of Brazil last. One of the key challenges of working in this region is the terrain as, in the rainy season, the dirt roads become rivers of mud and access to the rural communities becomes very difficult. As such, it’s crucial to time the work well as once the rains start the logistics become much harder to handle and mainly unpredictable. Another challenge was seeing the poverty in which many of these households, most of which included several children, live in. This is one of the poorest regions of Brazil and it was clear that many people struggled to make ends meet. Interestingly enough, another challenge I found was the language. Although I am a Portuguese native speaker, I speak with the distinctive accent of Portuguese from Portugal, which many respondents found hard to understand. As such, I decided to conduct the interviews in my best Brazilian Portuguese accent, courtesy of the many Brazilian soap operas we used to get in Portuguese television. The change did improve things a lot! 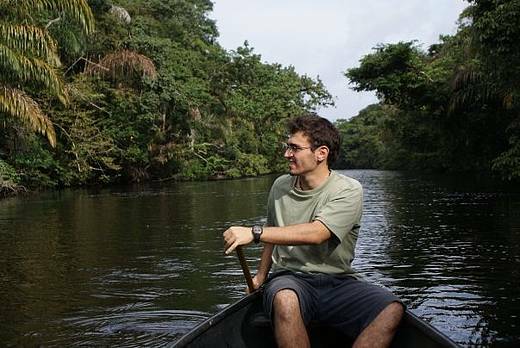 LEFT: Diogo paddling through the Atlantic forests. 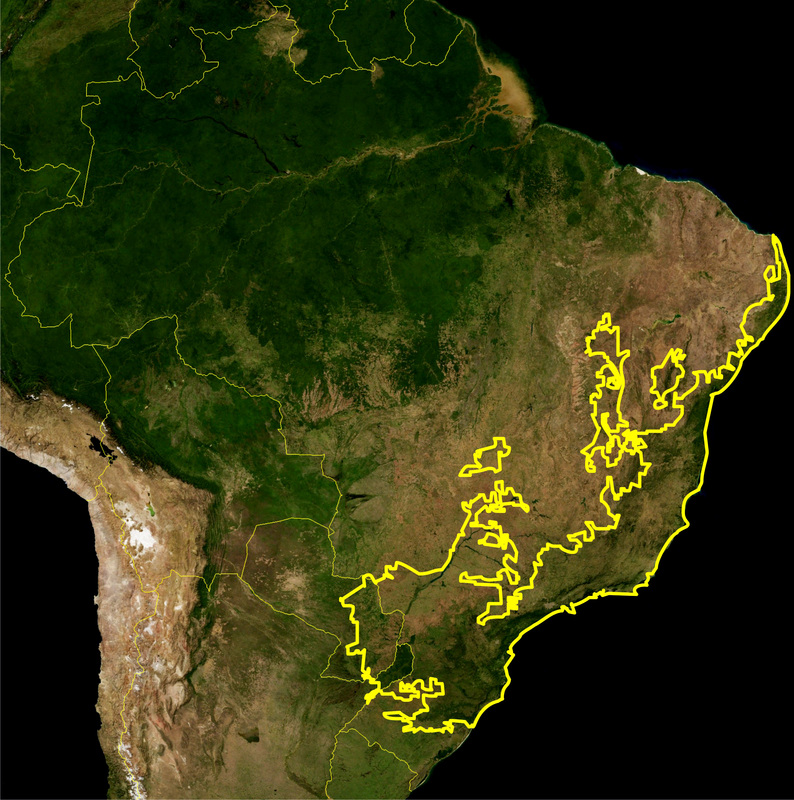 RIGHT: Map of the Atlantic rainforest ecoregion, as defined by WWF. Creative commons image. 1) Always work in partnership with a local institution. This will ensure that your work will have some continuity, help you understand better the local context and give you privileged access to local actors. The more your partner knows about the area you are working in, the more chances you will have of succeeding. 2) Although time is often money when you are in the field, always pilot any questionnaires or other people-based research instruments you hope to apply. It will not only avoid headaches later on but fine tune your methods to the on the ground reality of the issue you are studying. 3) Spend time doing the things locals do. People will generally be very appreciative that someone from outside is interested in their culture and livelihood. That, while no doubt an insightful experience, will help built trust and open doors for you as a researcher. 4) Be ready to adapt and to compromise. Often methodological requirements, logistic and cultural realities don’t match perfectly and you will have to adapt or even develop new methods to collect the information you need. 5) Recruit (and if need be train) research assistants. Interviews and questionnaires can be intense and time consuming methods so having a team working alongside you can make data collection much easier. Nonetheless, do ensure that your assistants are fully trained.